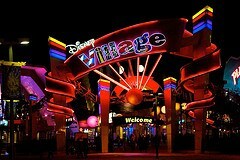 In the 1980's a European Resort was considered by the board and Imagineers of Walt Disney Imagineering. They wanted to open a park that took a leaf out of the book of the three resorts that proceeded it. 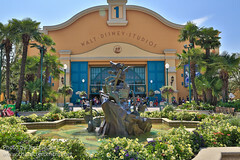 Building on the key things learned from the three other Magic Kingdoms, and making them bigger, better and even more magical. They chose the countryside east of Paris, and construction began in 1989. 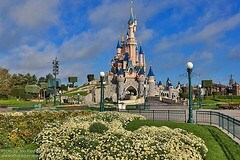 On April 12th 1992, Euro Disney opened to a mixed reaction. Sparing no expense, the park was more detailed and more beautiful than any that had gone before it. 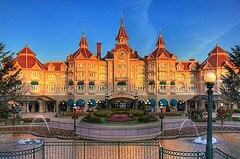 The Resort struggled for a number of years to pay off the debt incurred by the no expense spared approach, but after nearly 20 years at the top of Europe's tourist destination list, the now-named Disneyland Paris is an ever changing, ever expanding resort that has grown with into it's own identity, while remaining as beautiful and detailed as the day it opened. 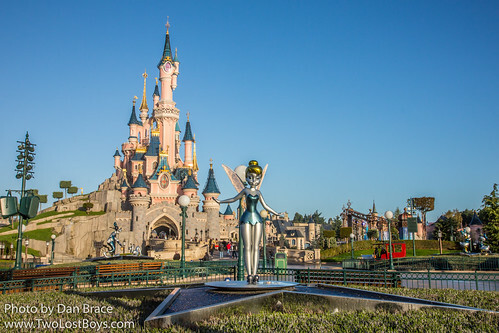 There are many Disney characters you can meet throughout Disneyland Paris, from the classics such as Mickey and Minnie Mouse, to PIXAR stars such as the Incredibles, the Disney Princesses and many more. More details about where and when you can meet your favorite characters can be found by clicking on the Parks and Resorts listed below, and exploring the various Lands, Shows and Parades listed therein.